It’s been so cold for the past few days, some eye-catching pop colours are definitely needed! Stay warm and stay colourful! 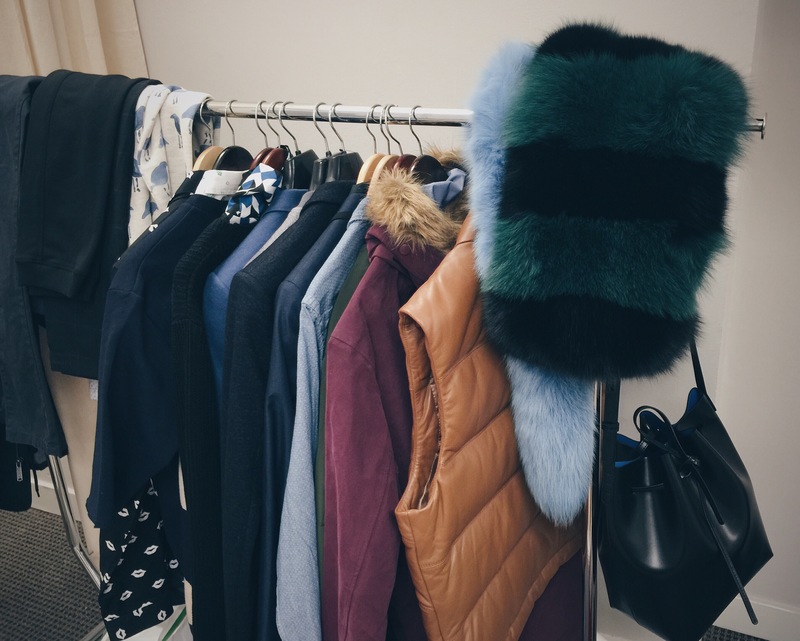 Colourful faux fur jacket, gray tee and black jeans Topshop; black boots, Chanel. 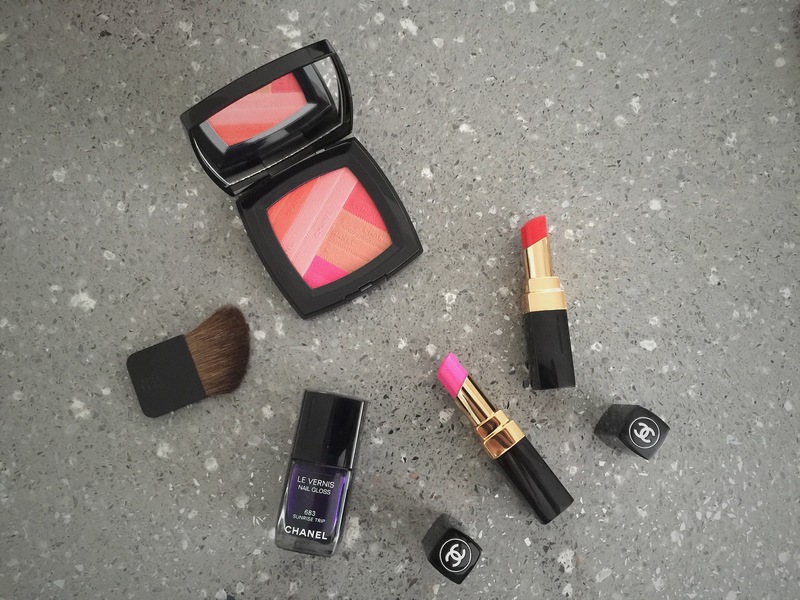 Chanel’s spring 2016 makeup collection is called LA Sunrise, which is inspired by the vibrant colours of the endless Los Angeles summer. The Sunkiss Ribbon blush has 5 shades that include light pink, a tanner version of pink, coral, together with neon orange and neon pink to create that “pop” of colours. By swirl all the shades together everyone can have that sunkissed cheek in this cold gray winter. I also got the two bight shades of rouge coco shine lipsticks. They are completely sheer, and soft like a lip balm. So I can apply them anytime of the day without a mirror and both colours work perfectly with the blush. Sunrise trip is the deep deep purple nail polish. I don’t really like black nail polish but I LOVE the deep coloured ones to create that similar dark nails look with less gothic effect. Anyways, the whole collection totally got me at Chanel. Here is a sneak peek of my last work before the vacation. I can’t wait to share with you the final looks! I’ve been bundle up lately to stay warm in this cold weather.. And I’m super obsessed with the wrap style jacket, it is definitely a quick style fix to transfer the fall look into a effortless winter outfit! 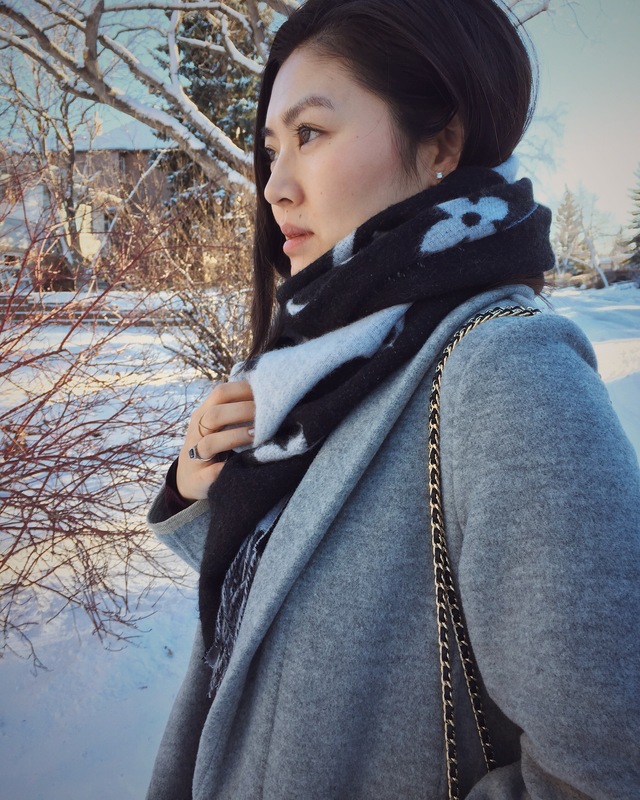 Gray wrap jacket, Wilfred; scarf, Louis Vuitton; jeans, Tooshop; shoes, Celine; bag, Chanel. I’ve been looking for a backpack for quite a while now. Not only because it is roomier than most of the bags, but also it is way easier for me to push the stroller and take care of baby j. 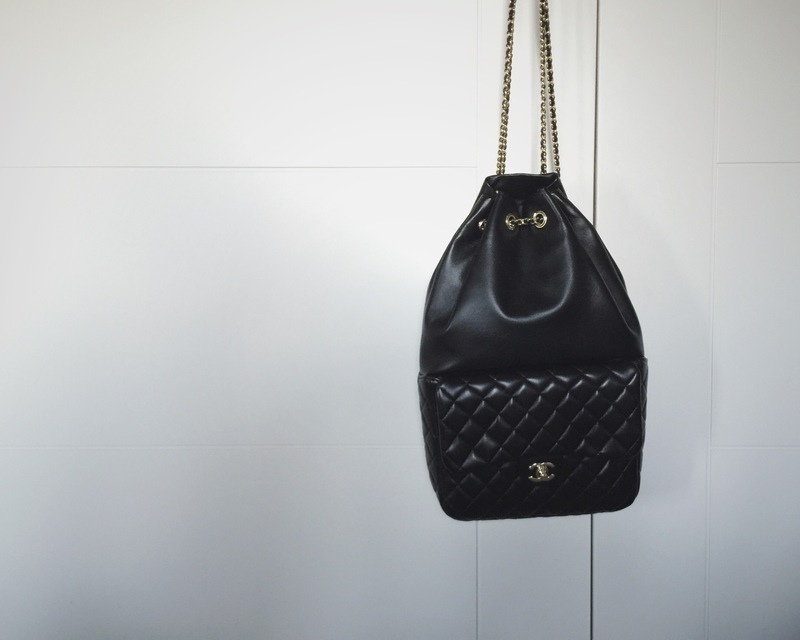 This Chanel backpack has a draw string closure which is much easier than a flap top or zipper, also it can be worn in more than one ways – as a backpack with both straps, or double strap it on one shoulder, or even wear it across the body as a messager bag. After all you don’t need any reasons to love a Chanel bag.